Promising world-class quality, India Tools & Instruments Co. has been engaged in catering to the need of its clients based in different corners, being one of the best Ultrasonic Thickness Gauge Manufacturers, suppliers and exporters from Mumbai. This instrument has a huge demand in different industries for testing the thickness of a material, mainly metal. The readings from this testing help a manufacturing unit make their final decision of using the particular material further or not. Due to the indulgence of the best techniques and raw components, it offers excellent performance, longer shelf life, and better operation through its serving life. Furthermore, they are also recognized to offer accurate measures which make them matchless in their own way. 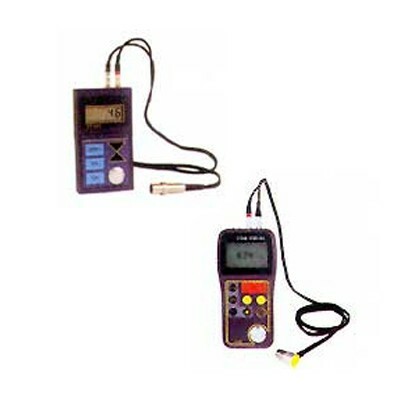 We are listed as one of the reliable Ultrasonic Thickness Gauges manufacturer, exporter and supplier in India. We are interested in establishing and maintaining long-term business relationship with foreign clients and thus, serve our products in Algeria, Angola, Argentina, Botswana, Russia, Nepal, Saudi Arabia, Oman, Sudan, Switzerland, South Africa, Tanzania, Dubai, Turkey, Bahrain, Brazil, Cameroon, Colombia, Denmark, Canada, France, Germany, Italy, Japan, Kenya, Mexico, Nigeria, Oman, Poland, Qatar, Bangladesh, etc. If you want to place your order or discuss your needs, call us now.